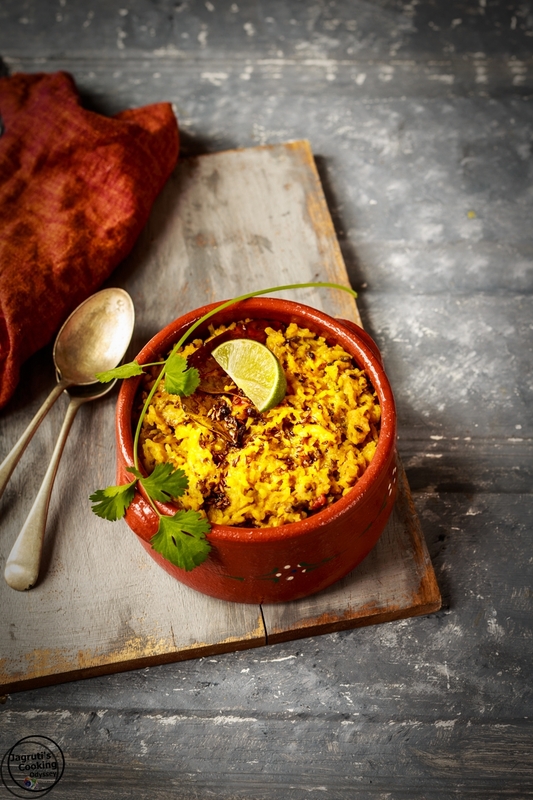 Dudhi Khichdi, comfort food at it's best! 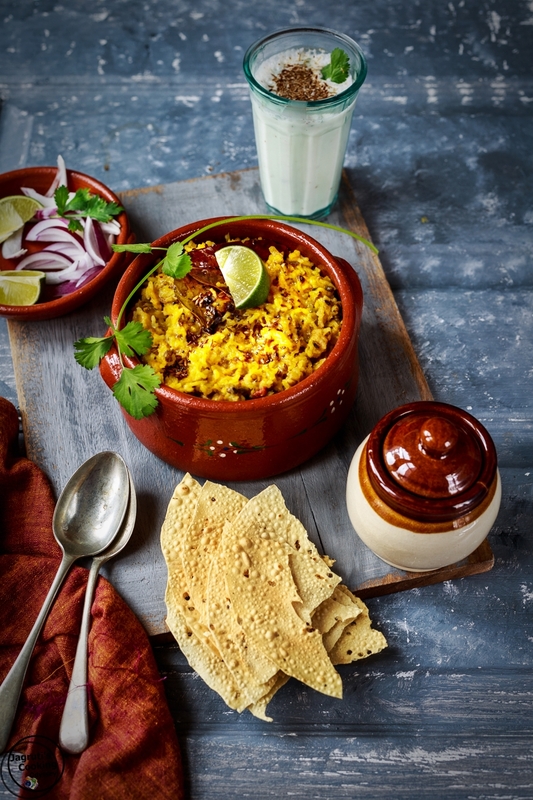 Perfect one pot meal and a nutritious dish made using rice, green split moong daal, whole spices and Dudhi. Dudhi / Lauki / Bottle Gourd Khichdi is a hugely popular One Pot Meal in my family. This ultimate comfort dish can be made in a jiffy with rice, green split moong daal, aromatic whole spices and cooling vegetable Dudhi. 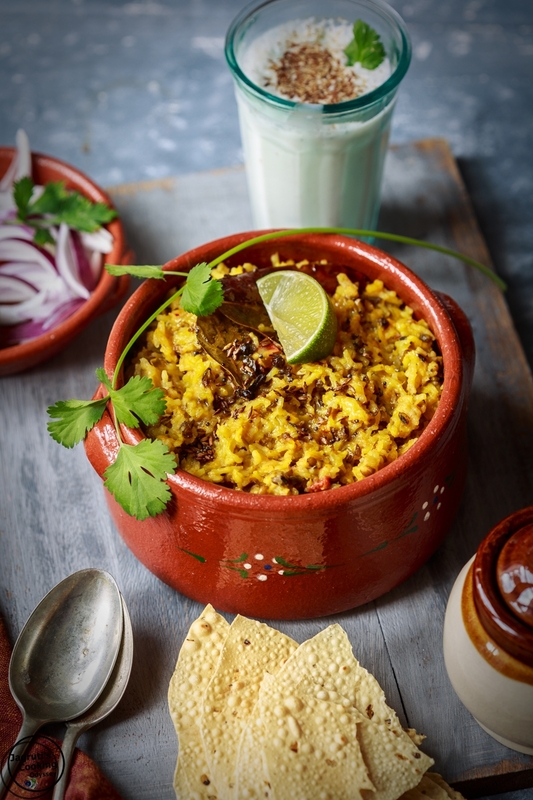 This khichdi is filling, full of flavours with many goodnesses, that can be enjoyed on its own or with yoghurt, chaas ( buttermilk ) papad and fresh salad. People who think khichdi is 'BORING', it just maybe their opinion which can be changed because this dudhi khichdi is a wholesome and complete meal in itself. Khichdi, either plain or cooked with whole spices to bring gentle aroma without being overpowering and cooked with a medley of fresh vegetables and is hugely popular in my family, NO we never think that Khichdi is boring or it's a food for someone who is unwell, but it is a 'food for the soul'! Many of my India visits were during summer months, from April to June. In May 2000, I was there to celebrate my mum's 50th Birthday for a couple of weeks. One afternoon, mum prepared this delicious and smooth dudhi khichdi for us, served with a dollop of ghee and cool masala chaas. The meal was so refreshing and finger licking. I was surprised to see khichdi with dudhi, as mostly we use mixed vegetables when I asked her she told me that she was suffering from digestive problems, so she uses Dudhi quite often in her cooking. According to Ayurveda, one should consume Dudhi / Lauki / Bottle Gourd for better digestion as it is more than 95% of water. 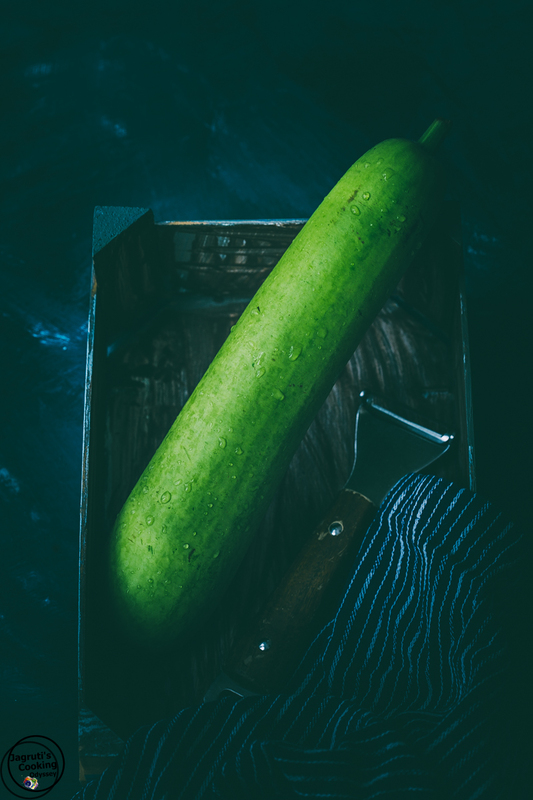 Along with digestion bottle gourd has numerous incredible benefits such as weight loss, it keeps the body hydrated especially during summers, relieves stress, lowers cholesterol treats urinary tract infections and reduces inflammation of the liver. In 2003 Mum made a visit to London for a ceremony for our Son, after her arrival, a couple of days later I prepared dudhi khichdi for her, she was really happy to know that I jotted down that recipe while I was in India and since then I prepare this khichdi, we the family have embraced it whole-heartedly. 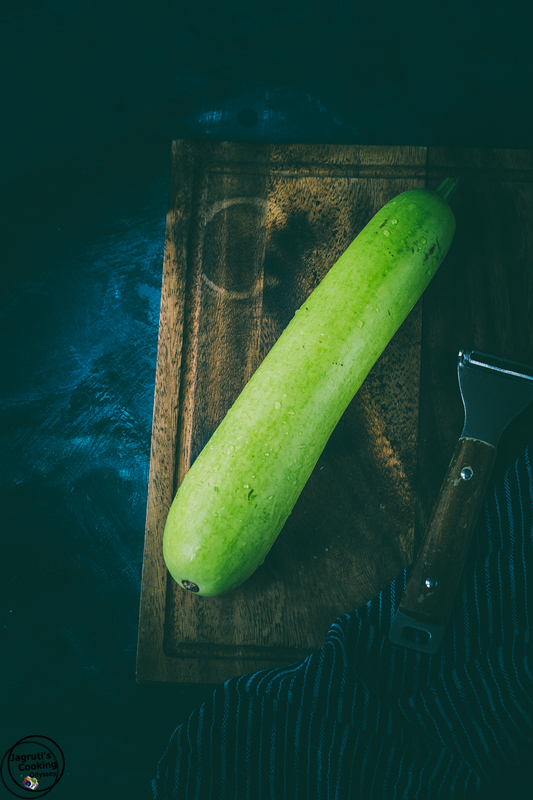 If you are a health conscious individual and want to include bottle gourd in your daily diet, I urge you to try this recipe and few other bottle gourd recipes Dudhi Na Thepla, Dudhi Na Muthia, Handvo, Dudhi Na Fararai Muthia or Dudhi Halwa. You can decrease or increase rice or daal ratio according to your choice or needs. I chose to have 1 1/4 cup daal for 1 cup of rice as I like to make my meal with more fibre and complex rich carbs. I have used brown basmati rice, but you can use whatever rice you like to use. Add water accordingly how you like your khichdi consistency and that too depends on what kind of rice you are using. Clean and wash rice and daal thoroughly. Add whole spices, dried red chilli, mustard and cumin seeds. Once it crackles add chopped onion, hing and saute until very light brown. Now add green chilli, and ginger garlic paste. Saute everything for a couple of minutes, then add grated dudhi and saute for 3-4 minutes. Add chopped tomato and turmeric powder. Cook till tomatoes are slightly mushy. Add washed and drained rice and daal. Add enough water and salt ( I added 700-750 ml ) to cook this khichdi. Close the lid and cook till 3 whistles. Allow the steam to escape before opening the lid of the pressure cooker. Add chopped coriander and gently mix the khichdi. Serve hot with a dollop of ghee, papad, chaas and fresh green salad. Your food looks so mouthwatering and your photos are always so sultry and intriguing! Me and hubby love khichdi.. He does not eat lauki as a sabzi. but I am sure this way he will not come to know.Will give it a try. I make khichdi a lot but I have never added lauki to it before. A really great recipe idea.